University-level students were invited to submit design ideas for a premier showcase of student projects on solutions for improving accessibility or inclusion. All accepted entries will be on view in the Barbara and Morton Mandel Design Gallery from February 5, 2018 through February 25, 2018. Students present their ideas, and a panel of experts discuss how design can expand accessibility and inclusion for all users. Learn how young designers are shaping the future of accessibility. Margaret focuses on the intersection of technology, human insights, and, design inspiration as a Principal Design Strategist and is currently helping to create, evolve, and, scale the Inclusive Design practice at Microsoft. Margaret has a background in philosophy – studying human nature and monitoring the cultural landscape to identify areas for creative and strategic growth. Most recently, Margaret collaborated with a series of industry experts to create a documentary about Inclusive Design and the importance of understanding, designing for, and embracing human diversity. Her strategy is featured in the Inclusive Toolkit which was recently awarded by IXDA and nominated as a FastCO World Changing Idea. Born in Egypt; Raised in New York City; Once sighted; And now blind. Walei’s field of expertise is transitioning in all facets of life. As the Digital Accessibility Coordinator, Walei makes sure that the City of New York’s digital products can be accessed by all. Elise Roy is a deaf, inclusive design strategist who helps companies analyze products, services, and programs from the vantage point of people with disabilities. She believes that the unique experiences of people with disabilities help us uncover hidden needs, wherein lie the most profound solutions for everyone. Roy draws on her 15+ years of working with the disability community, and her diverse career path as a lawyer who worked on the United Nations Disability Treaty, marketing manager, and product designer to shape solutions for her clients. An internationally recognized speaker, Roy has given talks at Microsoft, AIGA, NASA, the United Nations, and the World Bank. Her TEDx talk, “When We Design for Disability, We All Benefit,” has over 1.1 million views. Her company, Elise Roy & Associates was founded in 2016 and even though it is still in its infancy, it has attracted clients from both the tech and development worlds including USAID, the OECD, and the Center for Discovery. Keira Gwynn was born in Wales in 1993. In 2014 she earned a 1st Class Bachelor’s Degree with Honors in Product design from the University of Wales Trinity Saint David. It was in her last year of University when she designed a sitting aid for children with disabilities, now called the Scallop. In 2014 she continued her studies for her Master’s Degree in Product Design and Innovation, developing her product further. Whilst completing her MA Degree in 2015, Keira entered into a partnership with a company called R82 to develop the Scallop further and prepare the product for global launch. R82 is a company based in Denmark that produces technical aids and appliances for children and young people with disabilities throughout the whole world. In 2016 she was offered a position at the company as a Creative Graphic’s and Product Designer. In 2017 she was promoted to Project Leader in Marketing. This program will be ASL Interpreted and Real-Time Captioned. 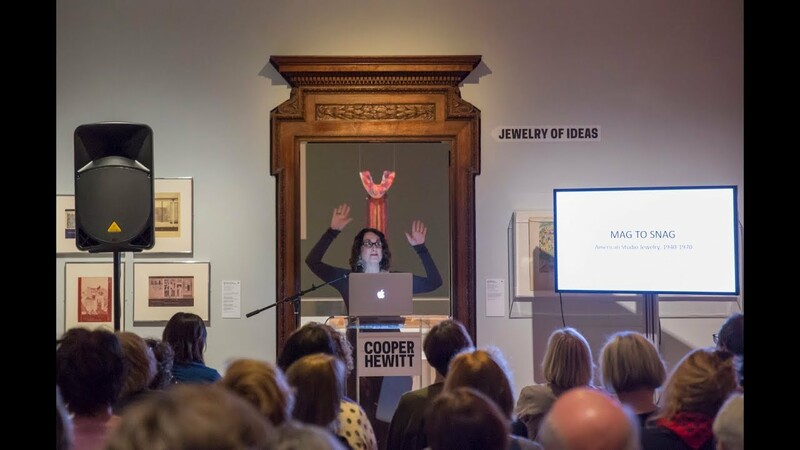 Find out about Cooper Hewitt’s accessibility services.